There are many who are afraid of what is coming in the near future with the new Administration moving into the Executive branch of Government. We provided our assessment on the blog here. What can you do? 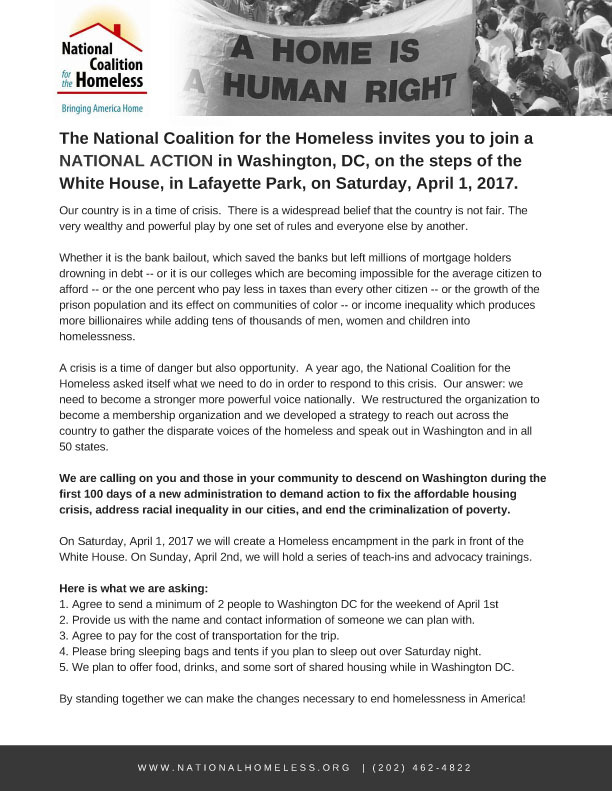 The National Coalition for the Homeless has an answer. They are hosting a demonstration in Washington DC right across from the White House. NEOCH staff will be there, and we hope that you will attend as well. The demonstration will go all night and then there is a planning session the next day. Speak up and raise your voice in support of a national housing policy that provides a safety net for those without housing.